The crematorium will be dismantled after the funeral. 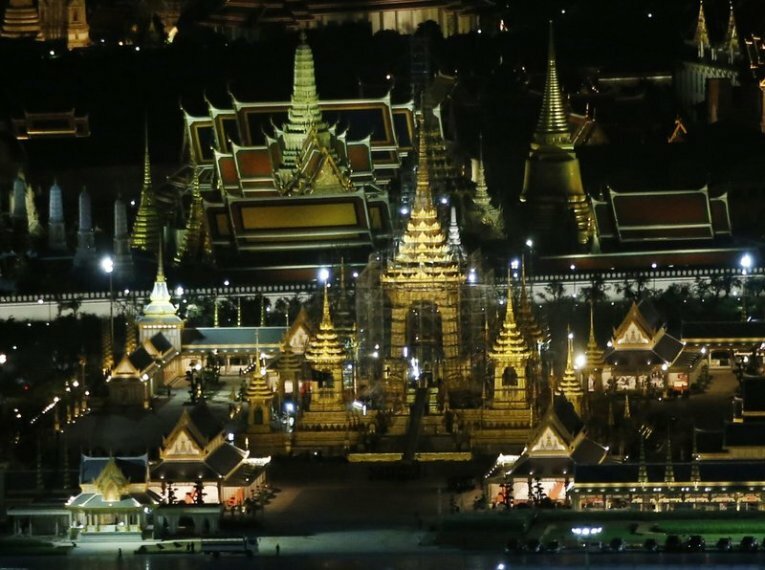 Thai artists and craftsmen are putting the finishing touches on an elaborate crematorium complex ahead of the funeral of King Bhumibol Adulyadej, who reigned for 70 years before his death on Oct. 13, 2016. The crematorium, situated on a public field near the Grand Palace in Bangkok, is a representation of mystical Mount Meru, where gods reside, according to Buddhist and Hindu legends. The complex features nine golden-spired pavilions and more than 100 sculptures and statues of angels, gods, mythical creatures and former kings.